Could be one of Rowena's Krampus! Nate- I never thought of dat. Darn. Saw this and posted it to Facebook a few days ago. Thought it looked like a gargoyle. Some of my family and friends there didn't believe it was real until I explained the story behind it. Brad- remember that strange mythical creature they found dead but couldn't identify, I forget when? 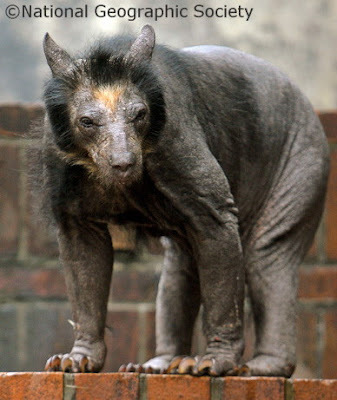 That might have been a hairless bear.